The colonial terrace is located in the heart of mexico city. Walking distance from all major sites, such as the bellas artes, zocalo, cathedral, templo mayor, restaurants, and museums. The apartment is located on the second floor terrace (only accessible by stairs) , equipped with a full kitchen , dining room, living room (with a queen sized daybed) and tv, one bathroom and bedroom upstairs with queen bed. My name is Olivia Andrews. I grew up in Charleston, South Carolina and moved to Mexico City 8 years ago. I live in the Historic Center of the city with my family, very close to our rentals so we can always be available to our guests if needed. I have lived in the historic center for over 8 years. When I found this property I had never seen an opportunity like this before, and I was really searching! To own part of an 18th Century building recently restored in a great part of town was a once in a lifetime opportunity. I took the opportunity as soon as I could and bought 4 apartments in the same building! I hope my clients will enjoy Mexico City as much as I do and there is no better way to see the city but in the center of it all! Overall—wonderful. Very simplistic which was great. Recommend earplugs if there on the weekend and sandals as floor is cement. Unplug the room phone as you get calls all hours. I suggest Rm#24 if available. Bring your own soap, shampoo, etc. Great location for walking and seeing incredible sights! Uber is by far the BEST way to go to farther locations. Bring pesos! I love historic buildings and this one was built as a school in the 1600's. Complete with 20-ft ceilings and 2-foot thick walls. Great location, easy walk to sites and restaurants. Small kitchen, but serviceable. Had a great street fair with music just down the street at Santo Domingo square. 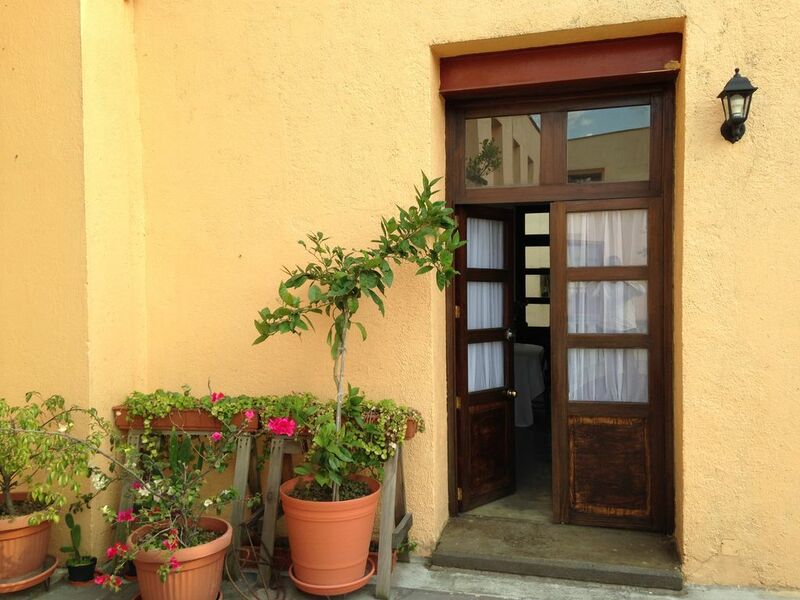 Gorgeous apartment near the main square and everything! Olivia and Victor are wonderful, and were very helpful! They upgraded us to a lovely apartment a couple blocks from the main square of Mexico City and many sights! It was very well appointed, and very comfortable. Great sitting area, two very nice bedrooms, terrific Wi-Fi, and a doorman on duty to let you in and out. We could not have been happier. Thank-you Olivia. Check out the Opera Bar down the street and see a bullet hole in the roof supposedly shot by Pancho Villa in an argument. So much to see! Wish we could have stayed longer! Olivia's apartment was clean and comfortable. Bottled drinking water was provided along with the very basics for coffee. If you're looking for a place within walking distance of Centro Historico, you can walk there in about 10-15 minutes. The street is very busy with a lot of traffic during rush hour. This is a really charming apartment in a great location. Wonderful restaurants and museums nearby. The building is nice and quiet, and the apartment is well equipped and very lovely. Located just four blocks from the Cathedral, Zocalo, Templo Mayor, Bellas Artes, and many museums, galleries, restaurants, etc. This is the original, historic Mexico City.